No gap year is the same - and why should it be? It’s your time to help, learn and explore! Everybody is going to want to do something different, or visit a different destination. With that in mind, we’ve put together a selection of gap year ideas to suit all types and tastes. Looking to volunteer for a long period of time? The Global Gap Year is an exciting programme that takes place over 27 weeks and includes 12 different volunteer opportunities across five countries and three continents. This is an ideal opportunity for gap year students who want a far-ranging international experience. This will allow you to learn about important global issues, explore new cultures and assist on worthwhile volunteer projects. 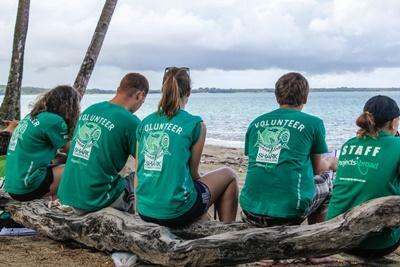 Prefer to volunteer abroad for a shorter amount of time? High School specials are specially-designed two week volunteer placements for those aged 15-18. These projects take place on set dates, where you’ll get the chance to live and work with people your own age. Your time away with us will include a mixture of taught sessions, hands-on activities and observational work, as well as fun evening activities and weekend excursions! Projects Abroad offers a wide range of projects in different fields. Whether you’re interested in Law or Languages , Conservation or Care, you’re sure to find a programme that inspires you! These projects are available all year round, with flexible start dates. Looking for something off the beaten track? Nomad Project in Mongolia – Live and work with a Nomad family in Mongolia and learn about their way of life while contributing to various community initiatives. Incan & Wari Archaeology in Peru – Work alongside Peruvian archaeology experts and uncover the history of these fascinating ancient civilisations. Music & Culture in Senegal – Learn about the rich history, culture and music of Senegal, working with a group of talented local musicians. See our full range of projects. Looking to do a bit of everything? Of course, you’re not just limited to one project in one destination. Volunteers are more than welcome to combine projects within a destination or across more than one country! 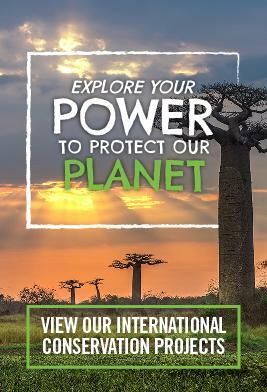 Take a look our gap year travel page for more ideas, or read through our combinations section to see how it all works. Remember, we’re here to help! Chat to us about your requirements, and we will help you plan a rewarding gap year abroad. For over 20 years Projects Abroad have been experts in volunteering abroad, work experience and gap year placements. Founded in 1992, Projects Abroad has now sent nearly 100,000 volunteers from all walks of life to volunteer projects in the developing world.